Enjoy Albion Online and love giveaways? Tune in to Blackboa’s Twitch channel this weekend! Watch Blackboa’s Twitch stream on 21 January, at 20:00 UTC. Be in Black Forest, in order to receive your Direwolf immediately in case you win. Winners are expected to notify Blackboa in his stream within two minutes. If they fail to do so, a new winner will be picked. Be careful, as Black Forest is a black zone city and getting out of the city might be a challenge. Bring your friends and expect a bloodbath! For more information and questions regarding the Direwolf giveaway, click here. Cannot make it on Saturday? Don’t despair, there is more! 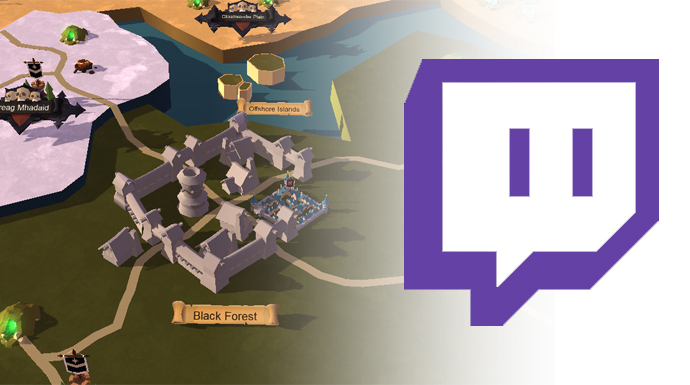 Blackboa is teaming up with community content creators Kutweer and Jordan "LordTyrellz" to host an Albion Online-themed talk show on Sunday, January 22 at 20:00 UTC. Be sure to tune in as they discuss several topics and answer questions, as you will also have a chance to win some gold!